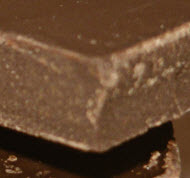 This site is dedicated to that most wonderful and addictive of foods: Chocolate!Everything you ever wanted to know about chocolate: From facts about how chocolate is made, to curious historical trivia, and mouth watering chocolate recipes - if you love chocolate, this site is for you! Chocolate festivals are growing in popularity. It's worth the trip to visit these scrumptious celebrations of chocolate. 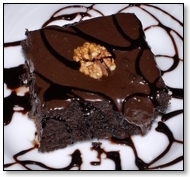 We all know that chocolate is one of the most versatile foods. This single ingredient can be used to make cakes, candy, but did you know that you can also make chocolate pizza, chocolate beer, and even clothes. And oh yes, you can apparently run you car with chocolate. Most of us take chocolate for granted. You can buy it anywhere these days. But did you know that it was not long ago that chocolate was one of the most precious imported commodities, reserved for the nobility? 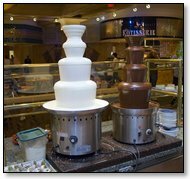 Travel destinations for the chocolate lover. These places have names that are good enough to eat.